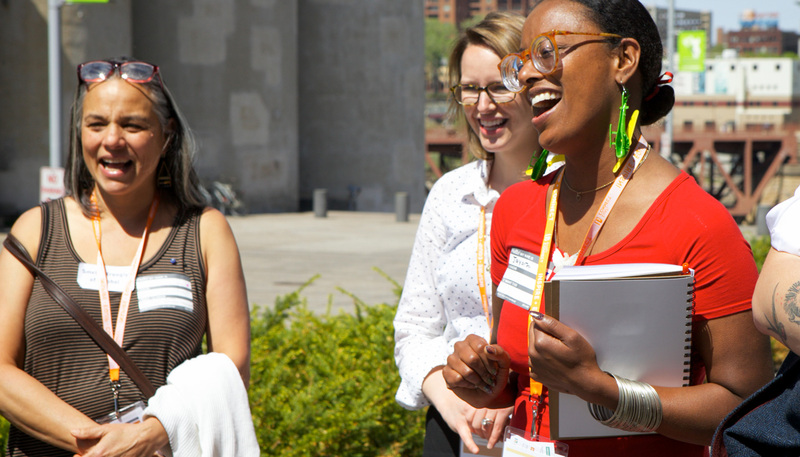 bushCONNECT – or bushCON for short – is a leadership networking event that builds stronger and more meaningful connections among leaders in Minnesota, North Dakota, South Dakota and the 23 Native nations that share the same geography. Why is the Bush Foundation hosting bushCON? A while back we asked leaders from across the region what they need to be more effective in their communities. The number one response was more opportunities to connect with other leaders. Which makes sense, because leaders need to be exposed to new people and new ideas to pursue innovative solutions to the challenges they face. That’s why we want to help build stronger and more meaningful connections between all of the different leadership networks in the region. We think that tapping into leadership networks and finding ways to build connections between them is one way we can help meet a need that leaders themselves have identified. When and where is bushCON? bushCON will be at the Guthrie Theater in Minneapolis, Minnesota, on Monday, October 1, 2018. How and when can I register to attend bushCON? There are two paths to bushCON. The first path is to be tapped by one of the Bush Foundation’s recruitment partners. These are partners we selected to invite leaders from their own networks who would benefit from attending an event like bushCON. Our recruitment partners only get so many tickets, though, so the other path to bushCON is through general admission. Tickets go on sale June 12, 2018. They sold out in a few hours last time, so you’ll want to get yours early. Stay tuned for more information. Who is co-creating bushCON with the Bush Foundation? We are working with recruitment and programming partners to co-create bushCON 2018 and engage a broad array of people throughout the region. See our news release to meet the 2018 partners. Who are the primary contacts at the Bush Foundation for bushCON? Megan Forgrave, communications manager at the Bush Foundation, is the project director. To reach a member of the team, email bushCON@bushfoundation.org.